"Islamic discourses on the nature, and function of dogs are representative of a range of tensions regarding the roles of history, mythology, rationality, and modernity in Islam. 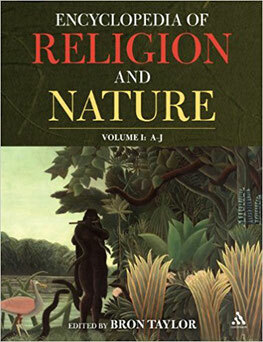 In fact, the debates surrounding the avowed impurity of dogs, and the lawfulness of possessing or living with these animals were one of the main issues symbolizing the challenging dynamic between the revealed religious law, and the state of creation or nature. In addition, certain aspects of these debates pertained to the power dynamics of patriarchy, and more generally, the construction of social attitudes towards marginal elements in society..."
FATWA: My grown children gave me a wonderful puppy for companionship. I am concerned if my prayers will be accepted if I keep the puppy in my house. "...I am happy to tell you that I own dogs and they are beloved companions. The best juristic opinion on this matter is that the saliva of dogs is not najis (impure), as long as you feed them and control what they consume. The opinion as to the impurity of dog saliva referred primarily to feral dogs or dogs who ate from the wild. But even if you do not accept this opinion, you can simply perform your wudu‘ before each prayer and pray in an area reserved for salat, an area which you can cordon off away from the dog. Sister, love your dog, for our Prophet (pbuh) has taught us that a man who saved the life of a thirsty dog obtained God’s grace. Perhaps your kindness towards this puppy and the mercy and compassion you convey towards this creature of God will be your path to heaven. Our attitude towards all of God’s creatures must be that they are but vehicles of God’s compassion and mercy and an opportunity for us to gain favor with our Lord..."
"...You asked specifically about the hadith attributed to the Prophet that angels will not enter a place or an abode where may exist. 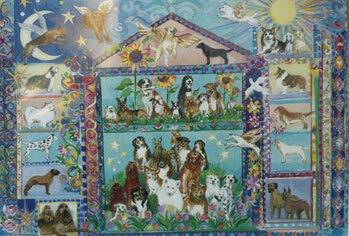 The report to which you refer typically states that angels will not enter a dwelling that has dogs or pictures. In most versions, the narration of the report is attributed to Abu Huraira, with a few versions attributed to others...There are several important points to make here: 1) All the versions of this report claim that angels will not enter a dwelling that contains dogs or pictures. By the terms of this report, it would follow that angels would not enter a place that has..."
"The Lord of the Essence: A Fatwa on Dogs," Chapter 80, The Search for Beauty in Islam: A Conference of the Books (Rowman and Littlefield, 2006). EXCERPT: "..How do you honor and serve the Creator? By honoring and serving God’s full Creation. That obvious and perhaps self-evident proposition has drifted from our memories. All of creation supplicates their Lord—we in turn serve creation by extending our hands to the world bearing compassion, mercy, and beauty. Every act of destruction or cruelty against what the Lord has made is an abomination against the One and Only. This is our faith—this Islam—submission to the Lord does not mean arrogance and hostility towards what God has molded and shaped—submission to the Lord means recognizing and fully affirming, by actions not words, the inherent dignity found in every living thing from human beings to a tree and doing so with complete humility. This is the truth of the Islamic message, which was sent as a mercy to human beings. 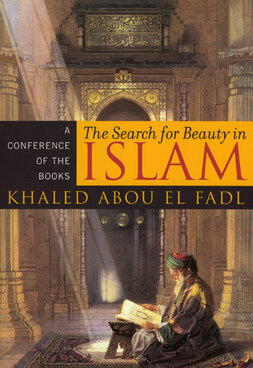 This is the truth that allowed Muslims to a build a civilization that enjoyed endowments (awqaf) for the care of street dogs and for the feeding of house pets whose owners could no longer afford to feed..."
EXCERPT: "...Abou El Fadl loves to use dogs to illustrate what he regards as the puritans' willful ignorance of Islamic tradition and an oppressive emphasis on law over morality. 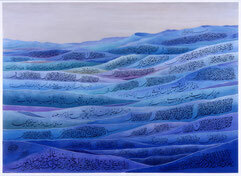 "But Abou El Fadl prides himself on questioning just about everything. He could not fathom a God who would condemn such loving, loyal creatures. So about five years ago he set out to investigate. 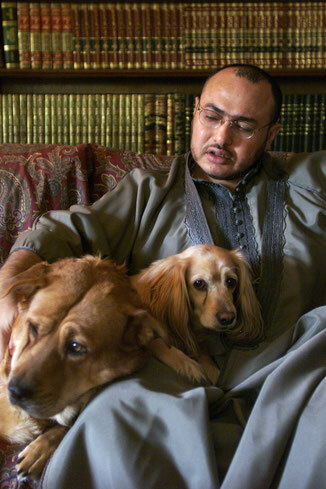 "Some reports against dogs bear uncanny similarities to Arab folklore, Abou El Fadl says, leading him to suspect that someone took the tales and attributed them to the prophet. "As Abou El Fadl speaks, Honey snoozes near his side. The yellow cocker spaniel mix was abandoned by its owners and was cowering in the corner of an animal shelter, dirty and racked by seizures, when the scholar and his wife rescued him. They also rescued Baby, a black shepherd a day away from being killed, and Calbee, an abused dog who smelled of garbage for a year and still feels secure only when curled up inside a plastic laundry basket. "How, he asks, pointing to Honey, who constantly follows him and nestles at his side, does God 'create animals with these natural tendencies and then condemn them as thoroughly reprehensible?'"